We are a full service hardwood flooring company with over 25 years of combined experience. Our hard earned reputation speaks for itself. If you are a homeowner or building professional we can handle any hardwood flooring project that you might have. We offer a full line of hardwood, laminate, and bamboo flooring. Featuring major brands such as Bruce, Mirage, BR111, just to name a few. We offer simple straight laid floors to complex designs with borders and medallions. Our crews can address all of your sanding and refinishing needs from simple 1 room jobs to multi unit apartment buildings that we have done. We use the latest in dust containment sanding featuring the 27 HP Bona Atomic trailer. In addition to the dust containment system we use durable water based finishes from Bona Kemi. The use of these products result in a virtually dust free and odor free environment meaning that you do not have to be displaced during the sanding process. We supply and install all types of flooring, including carpet, hardwood, laminate, tile, LVT and vinyl. We do our own installation and provide in home consulting. Our knowledgeable in-store sales staff will help you pick out exactly the right product to fit your needs. We have thousands of inventory items in stock at all times, you can take it home with you or leave it to one of our installation experts. Sea Floor Carpets is your place for all kind of carpeting, benefit from great visual impact with warmth and softness from our large color selection. Call for a FREE consultation from our locally owned and operated company. Hardwood Floor Service in the Millsboro area. What kinds of services do hardwood flooring installation professionals in Rehoboth Beach, DE provide? 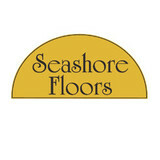 Find hardwood floor experts in Rehoboth Beach, DE on Houzz. Search the Professionals section for Rehoboth Beach, DE hardwood flooring installers and dealers or browse Rehoboth Beach, DE photos of completed installations and look for the professional’s contact information.